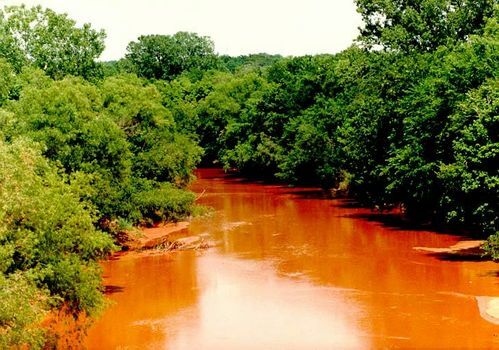 The Cross Timbers were a formidable barrier to early travelers crossing Oklahoma and Texas, but they've been more than adequately punished by a century of farmers. 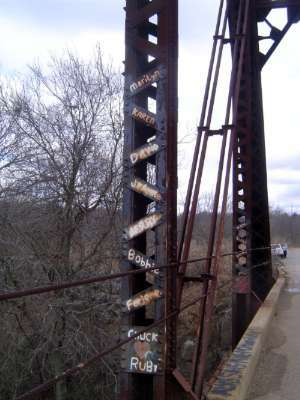 The Indian Meridian in Cleveland County. 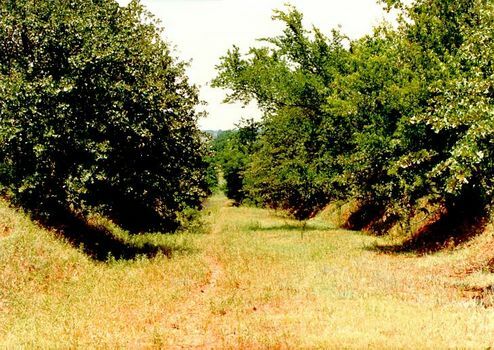 Along with the Indian Baseline, which it crosses in the Arbuckle Mountains of southern Oklahoma, this line forms the basis for all land surveys in Oklahoma, except for the Panhandle. Much of its length is now secondary road, but this stretch was closed some years ago. If the former road hadn't dug itself into the earth, the oaks would soon obscure, then obliterate, the line. Still, you can't buy a town lot in Oklahoma outside the Panhandle without a deed that locates the land with reference to the grid created by the Indian Baseline and Meridian. There's unintended irony in the grid's name: after all, the Indian Meridian contributed toward the annihilation of the Indian world. 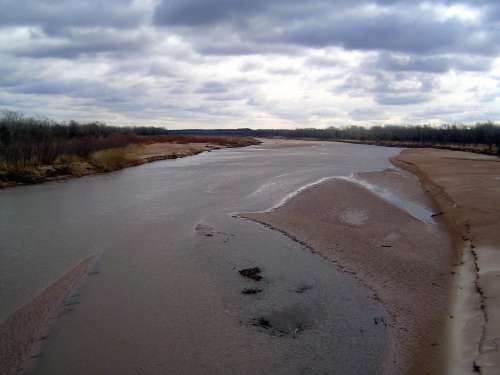 This is the Canadian River in Pottawatomie County. 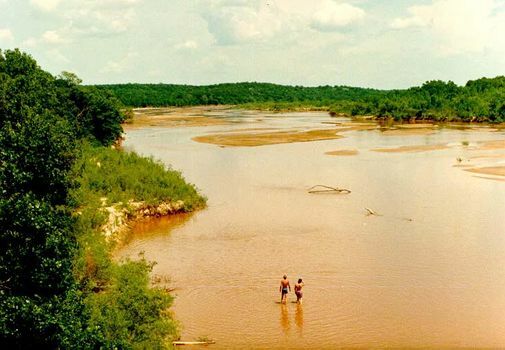 The river starts in New Mexico and crosses the High Plains before descending to the red rolling plains of central Oklahoma. It's always been in the earth-moving business, but its silt burden jumped when farmers went to work on this land after the Land Run of 1889. The forest stretching back on either side of the river here is secondary. 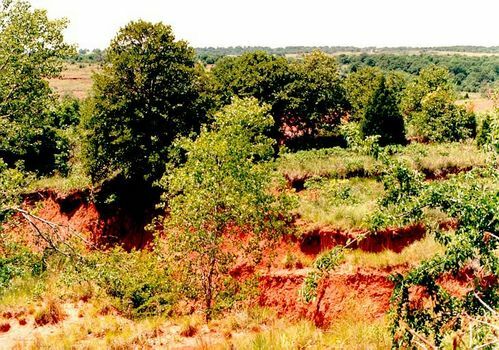 Farmers cleared the original forest, put this land to cotton and corn for a couple of generations, then quit after most of the soil eroded. You don't have to go to Kenya or China for photos straight out of a soil conservationist's handbook of Things Gone Wrong. The silt's derived from a handsome Permian sandstone, laid down in a shallow sea receiving sediments from the east. You thought those captions a few pictures ago were exaggerated--the ones about soil going away? Well, take a gander at these gullies. There's lots more like 'em. 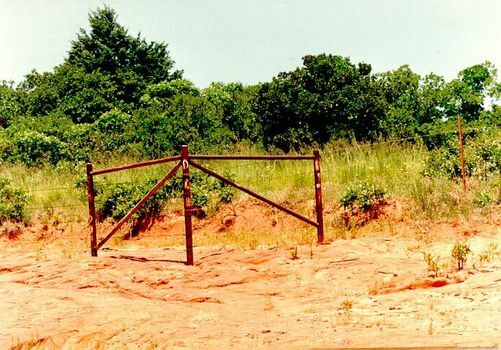 An intersection of two country roads, where erosion has stripped away the soil and almost unearthed the fenceposts, anchored in the Permian sandstone. Down the fence to the left, the posts were suspended in mid-air, erosion having eaten away their footings entirely. 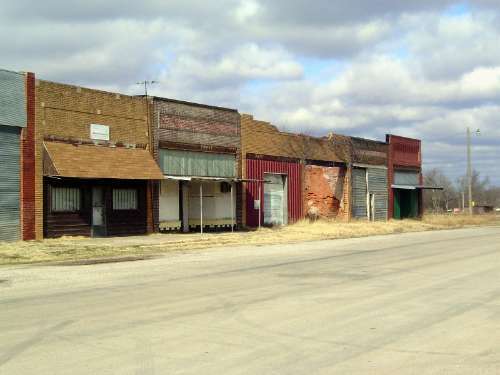 Farther south on the abandoned Santa Fe line is Wanette, a town now of 400 people, maybe. 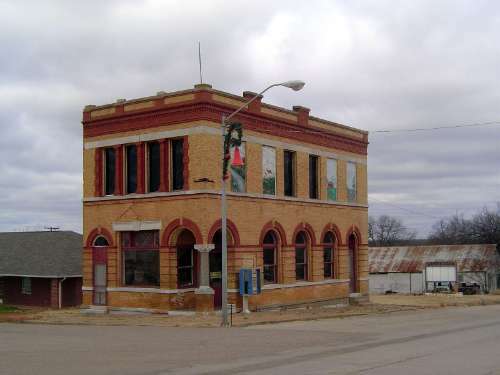 This is the main intersection, with its former bank. 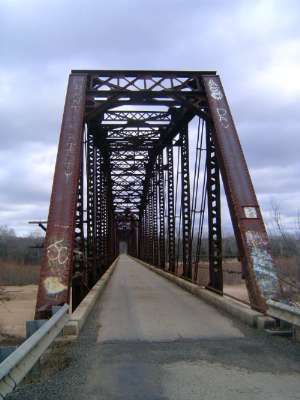 Just south of Wanette, the railroad crossed the Canadian River, here in winter. 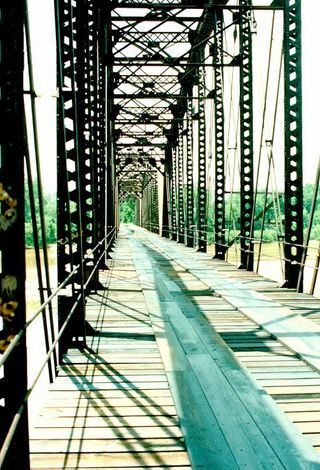 The old bridge has been converted to road traffic. 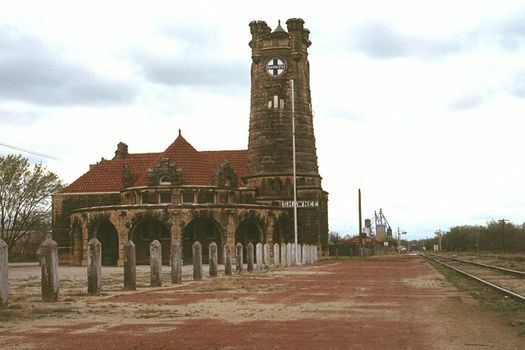 Here it was in the 1990s, post-rail but pre-asphalt. Must have been a party. 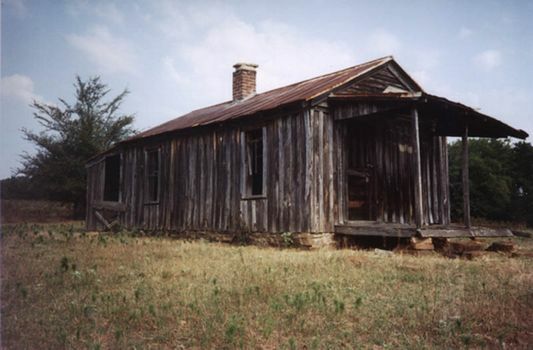 The first town south of the bridge is Byars. Here's the main street. 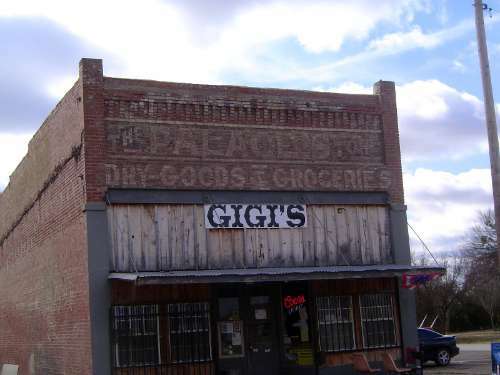 The only business open for business is the old Palace Store, dry goods and groceries, now a convenience store. 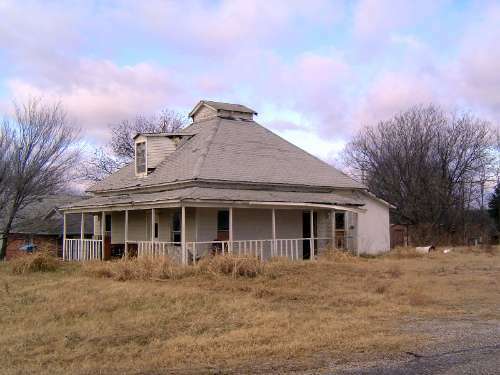 The population of the Crosstimbers has declined, especially if you count only its rural population. 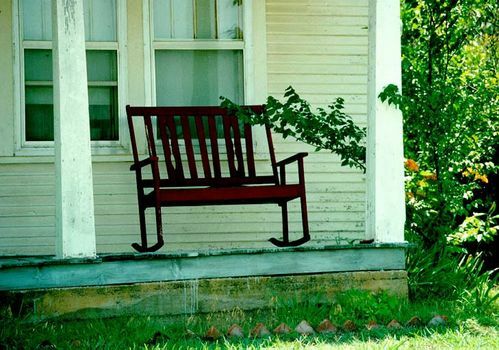 People have moved to cities, of course, but they also joined the great migration that's part of the Oklahoma story. 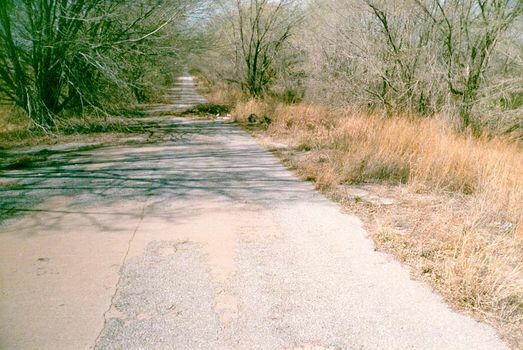 Here's a closed stretch of old U.S. 66--the way out.